After a long and difficult search, someone willing to take on the challenge of building the Kerch Bridge between Russia and Crimea has finally been found. Plus, Tuthill Porsche’s new Monte Carlo livery is right on the money. Also, a roundup of other Russia news. It turns out that transsexuals are allowed to drive in Russia after all while funding fears threaten Moscow’s World Cup Central Ring Road project. Builder now in place but many challenges remain for vital Crimea-Russia fixed link. A close associate of Vladimir Putin has apparently agreed to assume the massive risk of building the Kerch Bridge between Crimea and Russia. It will be the only fixed link between the two. Arkady Rotenberg, a boyhood friend and judo partner of the president – and co-owner of Stroygazmntazh Group, Russia’s largest construction company – will build the 19km long road and rail bridge according to widespread reports. The shifting sands of the Sea of Azov, at the top of the Black Sea, make the job a huge technical challenge. They put paid to Albert Speer’s previous attempt within six months during WW2. Despite the (initial) RUB228bn (£2.3bn) budget the project has been passed around like a hot potato since it was first revived just ahead of the Ukraine Crisis last January. Other Russian companies have refused to get involved. None of their Chinese colleagues were interested either even during a presidential visit to Beijing last year. Putin will be pleased his friend has stepped up to the plate, not least because it means he will not have to invade east Ukraine to ensure a reliable transport connection between Russia and its new annexe. It also means an end in sight for the recent very public trouble over long delays and massive queues caused by the creaking ferry service. The latter will be patched up until the bridge is ready in 2019. See below for a roundup of other Russia news. The timing could hardly be better. 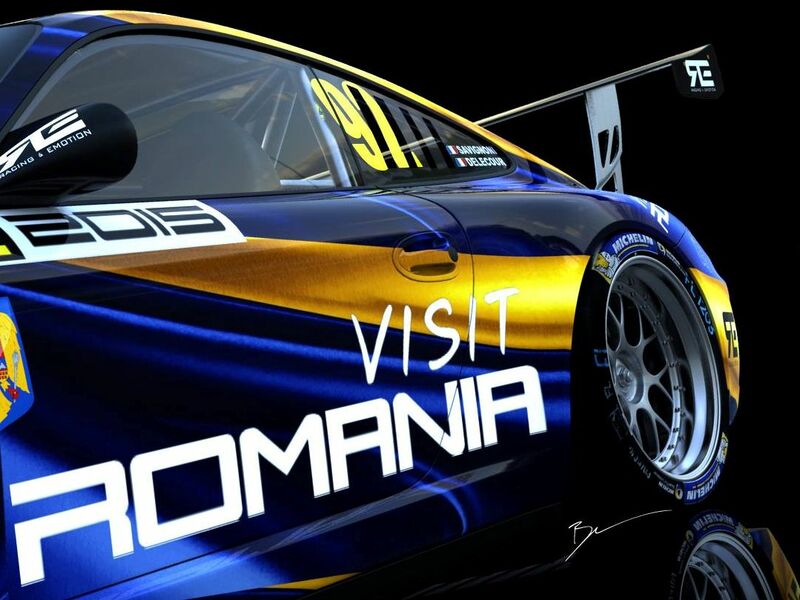 In the year Romania’s two world class roads finally start to become accessible from Western Europe, Francois Delecour will contest next week’s Monte Carlo Rally in a Visit Romania-liveried Tuthill Porsche 911 R-GT… Coincidentally, the Romanian prime minister issued an ultimatum to politicians from all parties today: get behind the national roads plan or it will stay on the drawing board forever. Happily, the rare parts of the fast road network already in operation – after recent openings – are those between the West and Transfagarasan and Transalpina, in the centre of the country, 1,500 miles (or two days) from Calais. roundup: RUSSIA. Contrary to reports last week, transsexuals are allowed to drive in Russia. A decree published earlier this month allows for the disqualification of individuals with ‘psychological or behavioural disorders’, as defined by the World Health Organisation (WHO). However, the new rules will not apply to people suffering with ailments listed under the ‘sexual disorders’ section says Moscow Times. Following a worldwide outcry, WHO now says it will review its disease classifications. Meanwhile, government cuts due to falling oil prices and the economic downturn sparked by US/EU sanctions mean private investors have grown wary of the massive Moscow Central Ring project says Vedomosti. The planned 500km ring road around the Russian capital was to have been ready for the 2018 World Cup. One section is already underway but two others will reportedly have their tenders extended by at least six months.